"I think the fire changed us - me and Dom. I think that's how the goblin-boy was able to see us." After their nan accidentally burns their home down, twin brothers Pat and Dom must move with their parents and baby sister to the seaside cottage they've summered in, now made desolate by the winter wind. It's there that the ghost appears - a strange boy who cries black tears and fears a bad man, a soldier, who is chasing him. Soon Dom has become not-Dom, and Pat can sense that his brother is going to die, and their overwhelmed parents can't see what's happening. Isolated and terrified, Pat needs to keep his brother's cover while figuring out how to save him, drawing clues from his own dreams and Nan's long-ago memories, confronting a mystery that lies between this world and the next - within the Grey. With white-knuckle pacing and a deft portrayal of family relationships, Celine Kiernan offers a taut psychological thriller that is sure to haunt listeners long after it has ended. 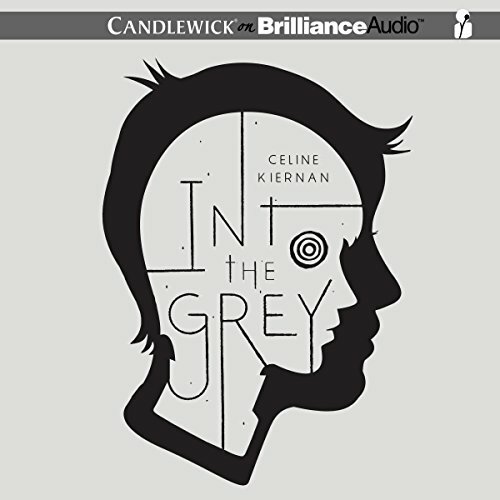 ©2014 Celine Kiernan, first U.S. edition published by Candlewick Press (P)2014 Brilliance Audio, all rights reserved..
not exactly what I was expecting but wonderful! The story line kept you guessing, it was very interesting and gripping. Yes, anyone who is read many of my reviews probably knows that Mr. Doyle is one of my favorite narrators. I think regardless of the material he is given to read his performances are always of the highest quality. yes there were several moving moments in this book. Of course I do not want to spoil the story for anyone. I really was moved by watching Jameses story unfold, especially as it pertains to Nan. This book is well worth the credit. I definitely look forward to more from this author and hope that Gerard Doyle will continue to narrate the authors books.